It's basically the teetering Bell/Robinson 2 blade rotor concept applied to a 4 blade rotor. Like a teetering system, the gimballed rotor head accounts for most of the lead/lag/flapping, with whatever isn't accounted for absorbed by flexing of the long skinny root shafts. With a 2 blade teetering system you have the weight of the machine hanging from a big cross bolt - pretty simple. 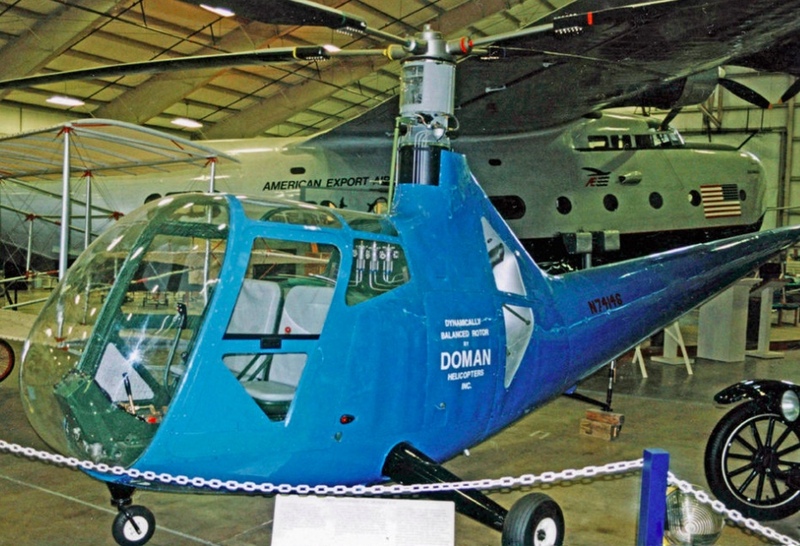 This system appears to be a bit complicated in the manner that the load of the machine is suspended from the rotor head, and that may have worked against it when other designers considered it. The designer may have seen it as the advantages of a teetering system and an articulating multi blade system combined, whereas other designers saw mostly the disadvantages of the two. An example: a teetering rotor, unlike an articulated one, can't tolerate hitting the teetering limits in flight because it puts huge bending loads on the mast (mast bumping) and makes the mast come apart. This is why you never let a 2 blade machine go zero G. I would expect this system could have a similar limitation, which a conventional articulated hub doesn't have. 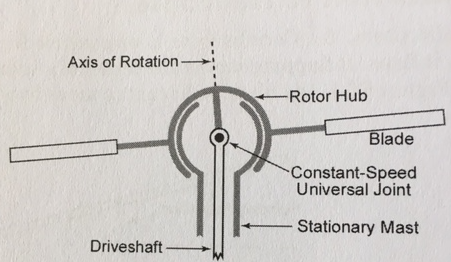 This type of rotor is not common because flapping blades make the helicopter fly better. Flapping vertically allows the blades to reduce angle of attack as they advance/rise and increase angle of attack as they retreat/fall, evening out lift in concert with cyclic feathering. Flapping horizontally damps vibration and eases acceleration/deceleration. Not the answer you're looking for? Browse other questions tagged helicopter rotorcraft rotor-head or ask your own question.